and pour your favorite wine. Would you like to enhance your tasting experience? 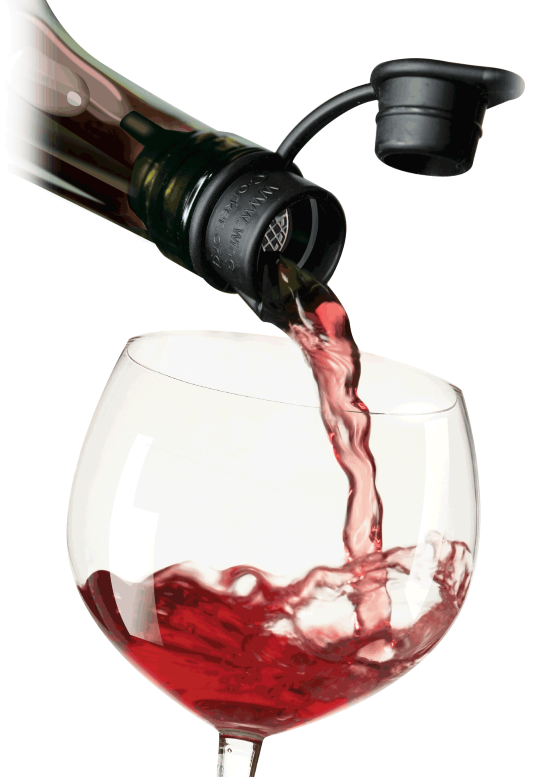 Built-in aerator instantly enhances the bouquet and flavor of your wine. Never struggle with a cork again! 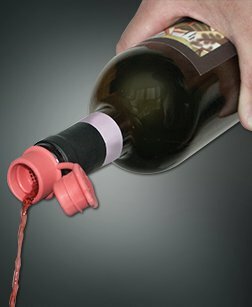 Reseals bottle snuggly, prevents evaporation and degradation and preserves your wine. Our specially designed lip provides drip-free pour control. Feel confident storing your wine spill-proof on its side in the refrigerator. Keeps fruit flies out. Prevents cork residue, sediment & tartrates from entering your glass. We created the essential wine tool everyone needs. 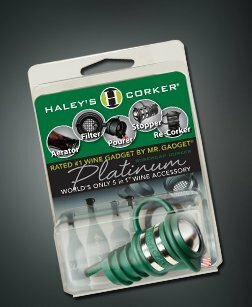 Wine connoisseurs, Winemakers and Tasting Room Managers prefer the Haley’s Corker® because it complements the wine experience. We worked closely with the wine trade when we created Halley’s Corker. You can proudly carry our products, and feel confident that you’re selling a quality item made in the USA. As essential as a good corkscrew! Haley's Corkerss fly off the shelves! Check out our display and product options for distributors. 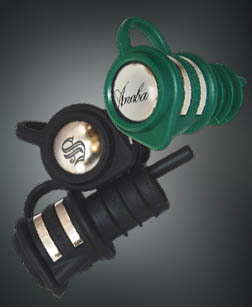 Your laser etched logo on Our Platinum corker makes a great incentive gift.